The London Marathon takes place on Sunday 22nd April. Coverage of this year's race begins on BBC1 at 8.30am. Whether this year's race is the strongest women's field ever assembled - or whether that honour belongs to last year's race - is up for debate. This time we have one fewer sub-2.22 runner (a mere seven of them have achieved that feat), but then it is the first time that two sub-2.18 runners have lined up against each other in a marathon. The media billing for the race is straightforward, then. This is a show-down between last year's winner, Mary Keitany ([2.14]), and last year's runner-up, Tirunesh Dibaba ([2.48]). The two fastest women in the world, head-to-head on the streets of the capital. Things might not be that simple, though. Now 36-years-old, Keitany had started to look past her best in 2016, falling in London and finishing ninth. She confounded that view when winning in New York in that November, though, in a fast time, and then ran that blistering women-only record last year in London, winning in 2.17.01. At the Ra's AlKhaymah half-marathon in February (a favourite warm-up race for elite spring marathon hopefuls), she ran a personal best of 64.55 to finish second, showing that she may well be at her career peak. With this in mind, the plan is an assault on the all-time quickest time for a woman's marathon, the 2.15.25 run by Paula Radcliffe in 2003, which is no longer classed as a world record, after 2011 criteria changes saw times expunged that were set in mixed-gender races. To give Keitany a chance she, too, will run with male pacemakers, as Radcliffe did when setting the mark. Keitany's half-marathon best is a minute quicker than Radcliffe's, so Keitany would seem to have the potential to better Radcliffe's mark. What's unclear is whether track-legend Tirunesh Dibaba will try and stay with the pace Keitany is claiming she will run at. Dibaba knows she is one of the world's best marathoners. She's run three: an impressive 2:20:35 on her marathon debut in London in 2014 to finish third (she may have won that year if not dropping a drinks bottle at an aid station); last year's impressive effort in London to finish second; and then the major win she deserved in Chicago last October, in a fast time of 2.18.30. Dibaba may doubt whether she is able to run 2.15 pace, though, which may work to her advantage. Last year, Keitany went through half-way a minute ahead of the schedule Radcliffe followed in 2003. Accepted wisdom (and Keitany's own view) is that she would have maintained something closer to that pace had she not been alone for half of the race. I'm not so sure. She's gone off fast before and faded, and there has to be a chance that she does the same here. Taking two minutes off your personal best at this level is a big ask, and it will be no huge surprise is Keitany is passed in the closing stages by runners who have paced their efforts more realistically. Most likely to capitalise in this scenario is Tirunesh Dibaba, but she hasn't been seen in competitive action since Chicago, so her fitness needs to be taken on trust. A better bet, then, may be Gladys Cherono ([18.00]), who is relatively unknown for a two-time Berlin winner. She's unlikely to post a jaw-dropping time, but 2.20 could well be enough to win this if the top two get carried away. However, on balance, the wisest strategy is probably to wait and see and get involved in-play. If Keitany hits some crazy early fractions (anything sub-32mins through 10K), I'll be happy to start laying, especially if temperatures are around the forecast 23 degrees, which is considered too hot for optimal marathoning. Much like the women's race, the men can arguably claim to be part of the best field so far assembled for a marathon major, with eight in the field having run sub-2.06, and four bettering the inconceivably quick 2.04 mark. The rightful favourite at around [1.65] is Eliud Kipchoge. 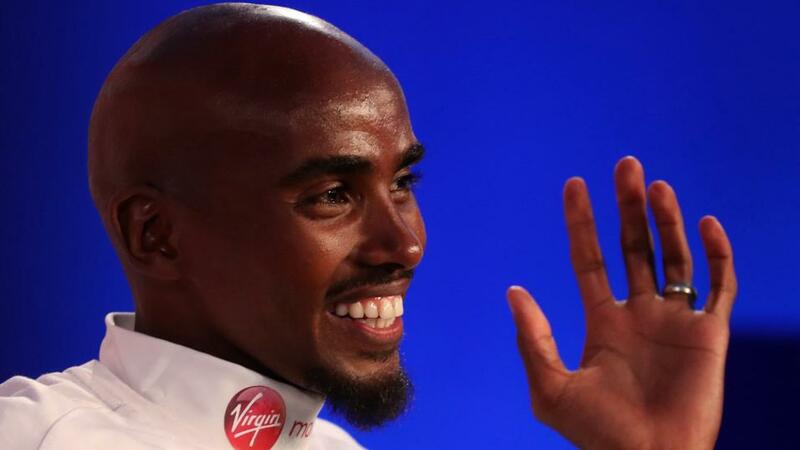 He is seeking his third win in London, having triumphed in 2015 and 2016 in fast times. However, he is best known for the part he played in Nike's Breaking2 project last May, which is why he missed London last spring. In that unratified run around the motor-racing circuit at Monza he clocked a staggering 2.00.25 (anyone who hasn't watched the National Geographic documentary on the attempt would be well-advised to check it out). In recent years he's also flirted with the ratified world mark, currently held by Dennis Kimetto. He certainly has the capability of beating that in a sanctioned race, but the heat will affect him on Sunday, too - there's a reason they ran at Monza at 5.45am. Kipchoge's not just a time-machine, he's a race winner too. He's only once lost at the distance - second to Wilson Kipsang in Berlin in 2013 - and has won his last seven marathons in a row. If he comes to London in top form (and, so far in his career, he has always come to marathons in top form), then he'll be hard to beat. His biggest threat will likely come from Kenenisa Bekele ([7.00]), who actually holds the best ratified personal best in the field at 2.03.03, set in Berlin in 2016. Arguably the greatest track distance runner of all time, Bekele made an indifferent transition to the roads: although winning his debut in Paris in the sixth-fastest induction in history, that was followed by three disappointing appearances, culminating in a third in London in 2016 that saw him left out of the Ethiopian team for Rio 2016. Bekele instead targeted the Berlin marathon that September, winning in the second-fastest marathon time in history, only six seconds adrift of the world record, before coming to London last year and just missing out - unable to run-down Daniel Wanjiru in the closing stages. Whether Bekele is a viable bet, though, is questionable. He is clearly supremely talented but is also inconsistent: in three marathon encounters with Kipchoge to date, Bekele has disappointed. In interviews, Bekele puts that down to his health in the run-up to those races. This time, him and his team claim, he is in top form, but with no recent evidence to speak of, backing him requires taking a lot on trust. If Kipchoge and Bekele do not deliver on Sunday, there are a number of others who could conceivably cause an upset. Wanjiru ([13.00]) has shown himself a capable racer, and Adola ([15.00]) and Karoki ([12.00]) are both able to operate at the near world-record pace that is likely to be set. Clear, to me at least, is that Mo Farah does not represent good value at the [9.00] he's priced up in some lists. Whilst he might improve his personal best of 2.08.21 and be able to challenge Steve Jones' British record of 2.07.13, it would be startling if he was able to take three or four minutes off his 2014 time, which is what will likely be required for him to be competitive here. He will generate press interest, though, so has a role to play there, at least. The course is flat - actually, it's very slightly downhill overall - making it a rival for Berlin among the Marathon Majors as the fastest course in the world. 2016 London winner, Eliud Kipchoge, ran a course record 2:03:05 and probably could have broken the world record (he was only eight seconds' shy of it) had he been more aware of the possibility. The start in Greenwich will be fast, with pacemakers leading the way. Even though the pacemakers are internationally able runners - and these rabbits will occasionally carry on setting the pace to record a surprise win - it is unlikely to happen in London. If they last beyond 30km, they've done well. One interest will be who pace-makes for Keitany, and whether they remain with her until the end, as Radcliffe's did in 2003. By the time the field reaches Cutty Sark, just before mile seven, it is likely the lead group will have been whittled down to just a few runners. If your fancy isn't in that group, they are unlikely to win, unless Mary Keitany has gone really fast, in which case a more conservative strategy may reap rewards. Given that only a small handful of either field have a realistic chance of winning, most of the other competitors will be sticking to their own pacing strategies, which will see them adrift of the leaders by now. This will include most of the European representatives. Crossing Tower Bridge, just before the half-way point, we'll know if a world-record is on the cards. In 2016, Kipchoge's group went through at 1:01:24 (at that time the fastest half-way split in marathon history). If Keitany is to break Radcliffe's all-time mark, she will need to cross the water in around 67 minutes. If you're travelling to watch the race, the stretch of road turning right off Tower Bridge is best - you see the runners on their way out and back to The City. Docklands, between miles 15 and 20, can often be the key to the race. A mid-race move can break less buccaneering competitors. When Sammy Wanjiru won here in 2009, he ran Mile 19 in 4:19, destroying anyone else with pretensions of winning. Be prepared to back those making a play for race victory in the psychologically most-difficult part of the race. The final stages - running down the Embankment towards Big Ben, passing the Houses of Parliament and turning into The Mall - have seen plenty of close finishes over the years. Don't overthink your bets, though. The various factors that commentators will assess to build the tension - historic track speed, who has led the most, who is most experienced - are largely irrelevant. All athletes will be near their limits - back the one who looks like they are in the least pain, which will probably be none of them.